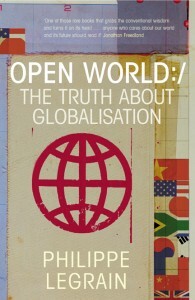 Globalisation is the most controversial topic in the world today. Our lives are increasingly intertwined with those of people across the globe. These links with distant places are not always new, but they are more pervasive than ever before. Take football. A hundred years ago, it was a British working-class passion. Twenty years ago, it was still a predominantly European and South American working-class sport. Now it’s a huge global business. David Beckham is a global brand; five African teams are playing in the World Cup in Germany, as are such unlikely countries as Saudi Arabia, Iran, South Korea and Japan; Arsenal is managed by a Frenchman, and its squad includes five Frenchmen, three Spaniards, three players from Côte d’Ivoire, two Swedes, two Cameroonians, a Belarusan, a Brazilian, a Congolese, a Czech, a Dane, a Dutchman, an Estonian, a German, an Irish, an Italian, a Swiss and a Togolese player; Thai schoolboys sporting Liverpool tops (Steven Gerrard is a local favourite) play the beautiful game around Wat Saket, Bangkok’s Temple of the Golden Mount. Such cultural change – as well as the growing economic ties of trade and investment and the political links between countries grappling with global problems – is of the essence of 21st century globalisation. This change is all-embracing, and yet profoundly misunderstood. Two reasons why so many people fear it. Is globalisation eroding our identity, national or otherwise? Are global brands colonising the world economy (and our minds)? Are we losing control of our lives to heartless mega-corporations and faceless markets? Many people think so. And there is an element of truth to all these worries. But for the most part, the answer is reassuringly no. 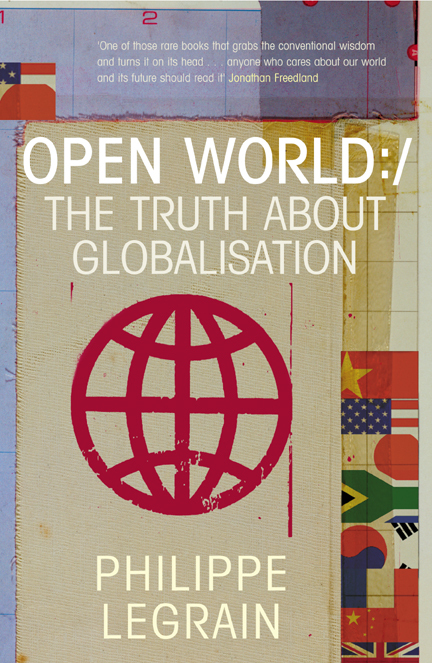 Many books – some good, most of them bad – have been written about globalisation. Some argue that it is a good thing; many more that it is not. This book aims to move the debate on. Globalisation is broadly a good thing, but it is far from perfect. The crucial question, therefore, is not whether we should welcome or oppose globalisation, but what kind of globalisation we want. Do we want completely open markets or should we keep some barriers? Should Britons privilege their relations with Europe over those with America and other countries? Should governments be doing more to tackle global warming? And so on. These are vital decisions. Yet many people believe that we no longer have a choice. They think that global companies now rule the roost and that the most we can do as citizens is to boycott their products in protest. They are profoundly mistaken. This book will argue that we are still free to choose – as individuals, as groups of like-minded people and through the power of our elected governments. What’s more, we can, to a large extent, pick and choose: unlike marriage, globalisation is not an either/or choice; it’s more like a supermarket where we can choose from the best the world has to offer. This book will, I hope, help people make the right choices.